To each is own on slicers. I didnt care for slic3r and bought/tried S3D and it was a big improvement for me, so I have stuck with it. I only print as a hobby, so it works well for me. I do agree that their licensing is the most annoying part of them. I communicate with my printer with S3D on a PC/tablet and every time i undock/redock I have to re-enter my license info for S3D. Eventually every few weeks I have to have them reset and reactivate my license because the program wont authenticate. They are aware of my issues and dont really care about fixing it rather than just reseting my license. It is a hassle! I am glad to see you so active on the forum, welcome. Thanks KosmoPi, I truly am not trying to upset folks re my thoughts on S3D. Of all the products I've used, purchased, tested, etc it is one of only a handful that I will not endorse in any way. Too bad and their loss. I can image that is a PIA! I'm a software entrepreneur in the Boston high tech market for my "day job" so bone-headedness when it comes to license keys, customer support, etc is particularly annoying to me. My experience is that companies that operate in this mode don't operate very long. The next big thing is going to appear any day now! 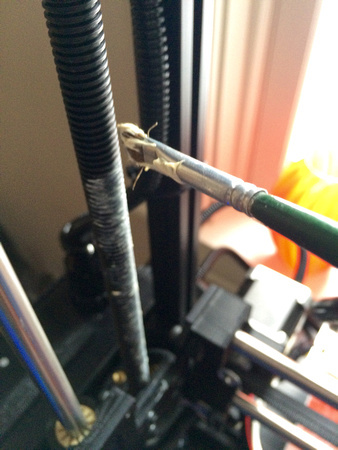 I wanted to share an easy way to apply lithium grease to the Z axis screws on any model of TAZ printer. Simply use a paintbrush or an acid brush. Less is more is the rule. Then run the carriage up and down 5 or more times full travel to spread it out. You'll be amazed at how much smoother and quieter your Z is. This looks like a lot of lithium grease but it is actually pretty sparingly applied. Here's RazzMaTAZZ assembled and waiting for its first mod - a PEI print surface. I almost have RazzMaTAZZ dialed in. It took printing and tweaking 5 of my single layer objects but I now have a reasonable KISSlicer profile and getting some pretty good results. This is one of the more challenging fly reel parts from an aesthetic and dimensional perspective. It is dimensionally spot on, just a few minor tweaks needed to get the surface finish I require - but part of that is due to printing on blue tape rather than PEI. I just posted my KISSlicer settings if anyone is interested. They will work for TAZ 4 and KITTAZ. Cool, thanks for posting all this info with nice pics. I have one of the early E3D-Online Cyclops switching hotends to test. One of the primary reasons I wanted a TAZ was to have a platform for easily testing new hotends, extruders and other things. My big delta printers are great but changing hotends is a bit more of a challenge and since I use them for actual production, I don't want to mess with something that works. So, I'm designing a dual extrusion Bowden system that can be easily fit to a TAZ printer. At the heart is the very cool E3D-Online switching hotted called the Cyclops. Cyclops has two filaments coming into a single hot zone and out a single nozzle. 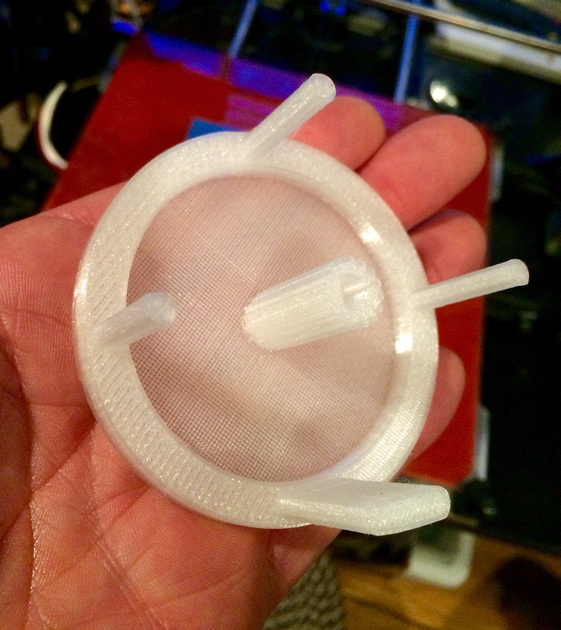 Any multi-extrusion system is a compromise but after working with a quad extruding Kraken hotend for the last 14 months and several home-brew dual extruding systems, I am looking forward to not having to deal with multiple nozzles oozing and dragging on the part during the print run! The other cool thing is these switching hotends can actually mix filament to create some very interesting effects. This is most practical with two different colors from the same filament family. 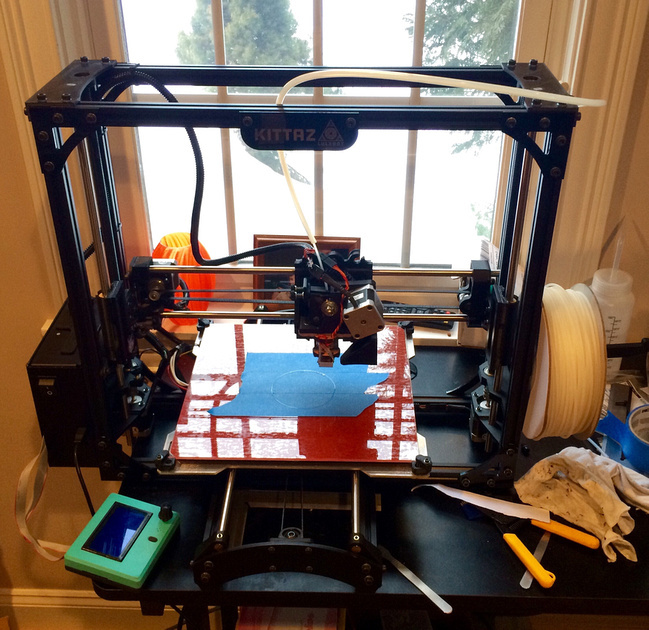 RichRap has done some very interesting work with his 3 filament color blending system. This does require special slicer post processing since no current slicer supports mixing at this time. But, I've written so many Python post processors that one more isn't going to be a problem. I think the position of the nozzle will give me the greatest Z axis travel. 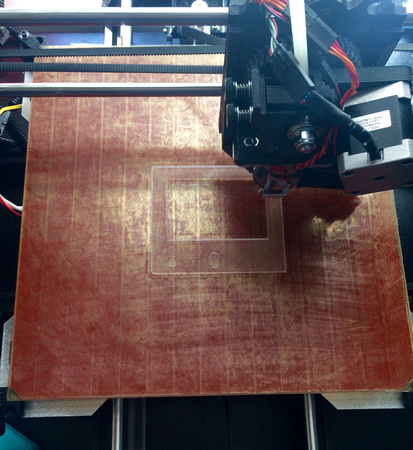 I'm printing the prototype on RazzMaTAZZ now to try out. Interestingly, the E3D-Online Chimera dual hotend is a direct swap-in for the Cyclops so this mount can be used for the more traditional two-nozzle dual hotend too. Next I am designing the mounts for two direct drive SeeMeCNC EZStruders. I was a beta tester for these when they came out a couple of years ago and really like them. However, I do use a geared (~5:1) stepper motor to drive them to get the steps/mm up to over 400. This produces a nice, continuous extrusion with lots of torque. They are nice and compact too. I'm designing a top mount bracket that will hold both extruders. The filament spools will be on the right side of the machine, similar to the stock configuration but the second will be on the back upright and staggered. This should make a nice clean system with minimal curvature and tubing in the Bowden tubes. Once I have all this up and running I will post the STLs and a tutorial on the modification and using it. Keep us posted on the Cyclops. It would be great to get a solid design.